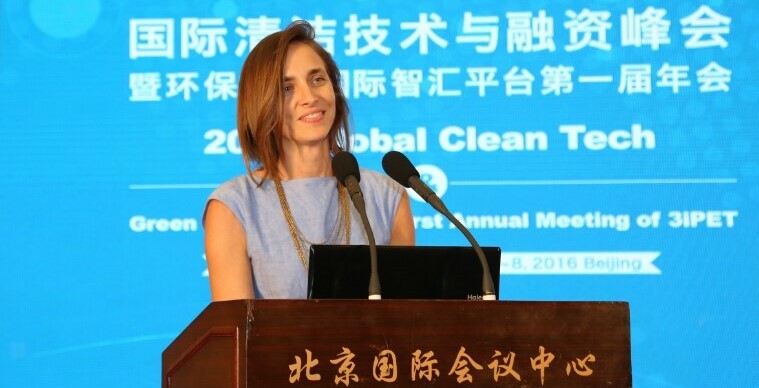 This past November 6th-10th, the US-China Clean Tech Center organized the first New Energy Vehicle (NEV) Trade Mission to China from the US, since China declared an imminent ban on diesel and gas vehicles. The mission took place in Shanghai, Jiangsu, and Guangdong, and provided the delegation to meet total over 300 leading companies, JV partners, investors, and teaming partners, laying the foundation for future strategic collaboration and projects with the US and Chinese parties. UCCTC also worked in conjunction with the US Department of Commerce ITA, including their top commercial officers who joined our meetings in Shanghai and in Guangzhou. Additionally, the DOC assisted and provided an IP update webinar for several of our participating companies, prior to the trip. 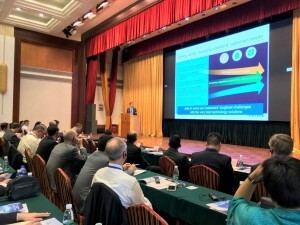 The delegation included 17 innovative companies engaged in NEV technologies for the passenger, commercial, bus, and heavy-duty truck markets; this included electric battery, hydrogen fuel cell, and hybrid technologies, as well as AI, wireless charging, electric jet propulsion technology and advanced lithium ion battery technology firms. 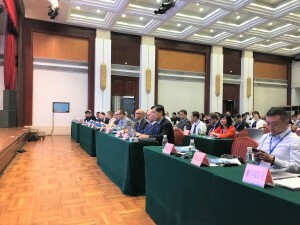 The first day, the delegation attended the Shanghai-U.S. New Energy Vehicle Business Conference, hosted by the Shanghai Municipal Commission of Commerce, the Shanghai Foreign Investment Development Board, the Anting Shanghai International Automobile City and Auto Innovation Park, as well as the Shanghai Jinqiao Economic and Technological Development Zone Administrative Committee. Robyn Garfield, Consul in the U.S. Consulate General in Shanghai, provided opening remarks and each company representative from our delegation had an 8 minute pitch. 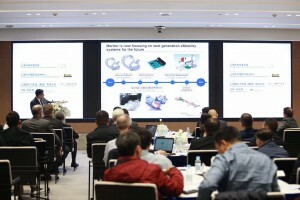 At the conclusion, the companies were able to meet conclusion, the companies were able to meet and network with over 40 companies and investors from around the 7 districts in Shanghai, discuss potential collaboration, and communicate about potential projects. Our delegation then moved to the Jiading Auto Industrial Park, the largest and most advanced auto industrial park in China (and maybe the world), where we did site visits of the park and met companies such as SAIC, VC, Next EV, NIO and EVCARD. Following presentations and another business matchmaking session, the delegates were treated to banquet with live music and art by local artists. 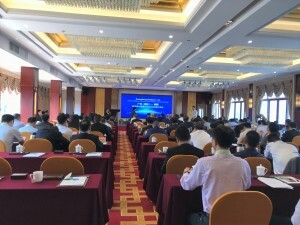 On Tuesday, having taken a charter bus to Changshu, Jiangsu Province, the delegation then participated in the Changshu-US New Energy Vehicle Industrial Cooperation Conference, hosted by the Changshu municipal government and included meetings and one-on-one B2B matchmaking meetings with more than 30 businesses, investors, and teaming partners from the Changshu High-tech Industrial Zone. 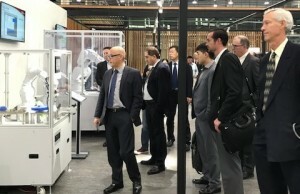 The delegation then went on site visits, including a 2 hour, behind the scenes tour of a lithium-ion battery manufacturing, assembly, and packaging plant. The delegation also was able to meet and speak with the plant’s CEO and Founder, one of the pioneers in the lithium-ion battery business. 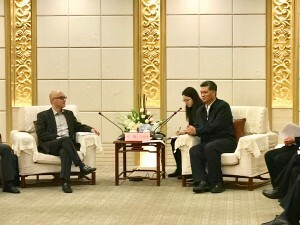 On Wednesday, the delegation flew to Guangdong, and was welcomed by the Guangdong Qinyuan Government. 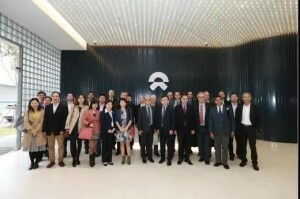 The Qinyuan representatives then took the delegation on several site visits and the evening concluded with a private business dinner and networking event hosted by the Qinyuan mayor and the economic development team, allowing the delegates to sit, dine, and speak with over 20 different local companies and investors. 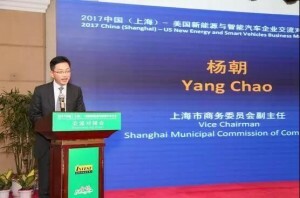 One of the major highlights of the trade mission occurred during the monumental Guangdong-US New Energy Vehicle Cooperation Conference, hosted by the Guangdong Provincial Government, on Thursday, November 9th. 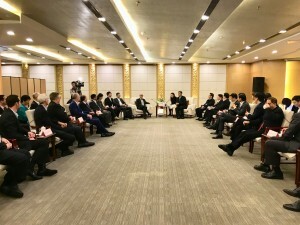 After presentations by the delegates at the conference, all company representatives were able to meet in an intimate roundtable-style meeting with Guangdong Governor Ma. Along with the Governor, high level executives from companies such as BYD and Guangzhou Auto joined the meeting and the delegates were able to converse, ask questions, and speak with the Governor and his economic team. Additionally, the conference keynote included Charles Bennett, Consul General, US Embassy in Guangzhou. The afternoon included several opportunities for the delegates to meet with companies, investors, and teaming partners, extensive one-on-one B2B matchmaking, and time to speak with local economic office staff as well. The evening included a dinner hosted by the Guangdong government as well as a night-time river cruise of the Pearl River. 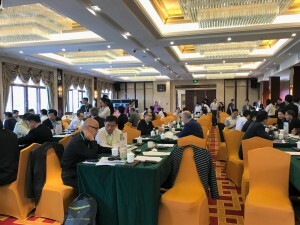 On the final day, the delegation had the opportunity to travel to Huizhou city, 2 hours outside of Guangzhou, and was able to meet with 25 companies and investors from Huizhou, at the Guangdong Huizhou – US Business Meeting for Companies of New Energy and Smart Automobiles. This included local companies that are seeking opportunities in the US, seeking teaming partners and project partners. 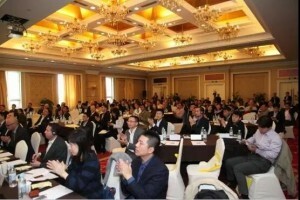 The delegation made presentations and was then able to speak and interact further, with the business matchmaking event. The afternoon included additional sites visits including visiting BYD’s plant and a business dinner event hosted by the Mayor of Huizhou city. – Yossi Salomon, CFO, GenCell (Israel & USA).